Now in its seventh year, Red Bull Campus Cricket just gets better and better. So say Red Bull athletes Niroshan Dickwella, Lahiru Thirimanne and Sri Lanka rugby captain Sudarshana Muthuthanthri. This year’s Campus Cricket World Final, in which six top university teams from around the world compete for the trophy, will be held in Colombo between September 23 and 29 this month. Over the years, the Campus Cricket World Final has been graced with plenty of international talent, with the likes of Dickwella, Dhananjaya de Silva and Dasun Shanaka all taking part at some point. Dickwella remembers the 2016 tournament with special fondness. 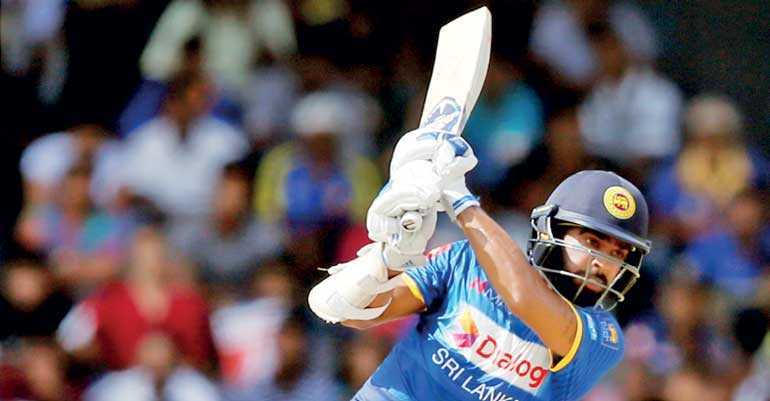 That year, he was not a regular in the Sri Lanka squad, and used the Campus Cricket tournament to build form en route to reclaiming a place in the national side. Foreign international stars have also been successful in honing their cricket at the tournament, en route to the national team. India batsman KL Rahul had played in the 2013 event, while as recently as 2016, Lungi Ngidi - the strapping South Africa fast bowler - was in Sri Lanka to compete in that year’s World Final. For Muthuthanthri, the Campus Cricket tournament represents the kind of high-quality age-group tournament that is sorely missing from his sport: rugby. Last year, Muthuthanthri became the first Sri Lankan rugby start to play provincial rugby in New Zealand, where he turned out for the Auckland Sevens team. Muthuthanthri says that journey would not have been possible without Red Bull, but also hopes that the Campus Cricket concept will eventually grow beyond cricket.